A lightweight, highly technical sock. 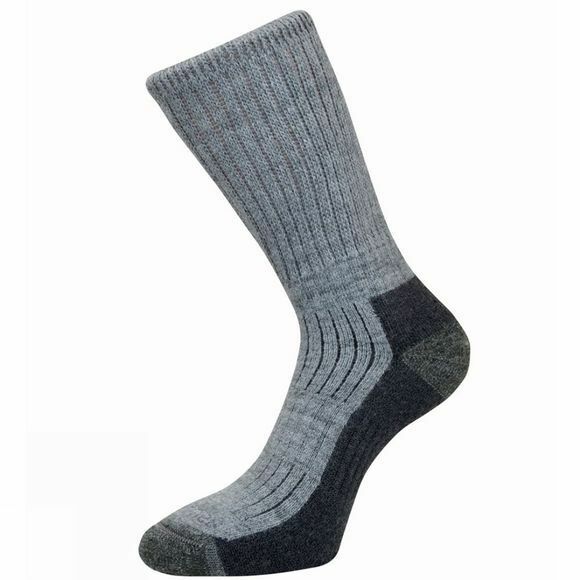 Extremities' Light Hiker Sock is ideal for Spring, Summer and Autumn use, whatever the weather. Coolmax technology is combined with Wool Ultra to provide superior moisture managment, reduced friction, better recovery from compression alongside increased warmth. Padding round the ankle, toe and heel provide excellent comfort and protection as well as ensuring a secure fit. Ankle and instep grip bands reduce sock movement which helps to prevent blisters.